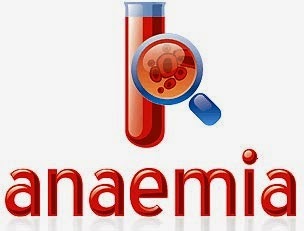 Anemia means lack of blood in the body. This is an enormous problem. The lack of blood in the body not only makes us weak but also declines physical immunity to fighting against many diseases. To resolve problems of blood deficiency herbal knowledgeable in tribal areas used certain herbal formulations. Let us know how tribal solve the problem of anemia by using 10 selected herbal formulations. 1. Shortness of blood can be cured by drinking a glass of tomato juice. According to tribal, the house where tomatoes are used they do not complain of anemia. 2. People who have complain of anemia or blood they should drink a glass of spinach juice three times a day. Spinach has vitamin ‘A’, ‘B’, ‘C’ and ‘E’, protein, sodium, calcium, phosphorus, chlorine, thiamine, fiber, and iron etc. 3. Fried green corn maize and eat it. They are tasty as well as nutritious. Boiled the maize and eat it. Your stomach becomes strong. It will increase the blood. 4. Direct intake of salt and garlic purifies blood. People who have lack of platelets in the body they should consume the same amount of salt and garlic. Intake of buds of raw garlic and salt is considered to be extremely beneficial. 5. Take Indian sarsaparilla, cinnamon and anise in the same amount. Boil it in tea and drink it once in a day. It purifies the blood and speed increases in formation of blood. 6. Chestnut provides strength to the body and increases the blood. Chestnut has protein, fat (fat), carbohydrates, phosphorus, iron, minerals; vitamins `A' and other important elements such as starch and manganese. Raw chestnut helps in increasing blood volume. 7. Anemia patient should eat Phalsa. It increases blood. Skin irritation occurs due to lack of blood in the body. You will get relief by taking fruit of Phalsa or its juice in the morning and evening. 8. Take sarapunkha leave’s juice in 20 ml mixed with 2 teaspoon honey with empty stomach. It cleans the blood. It speeds up the blood forming process in the body. 9. Make powder of Hanspadi plant and take it with honey. It purifies the blood and blood flow in the body seems to be clear. According to tribal, taking powder with honey or water increases the blood and anemia complaint can be removed.